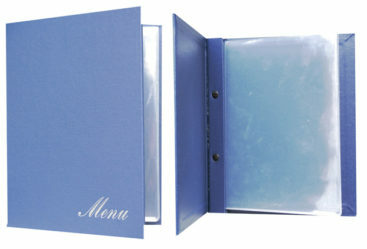 We offer two screw style menu covers the external and internal. This menu cover internal screw style, is great for menus of all sizes, you can install print directly or use our durable PVC sleeves (copy safe and in available in two weights). We have four key sizes to fit from ½ A4 paper through to A4 – Where ever possible we try and work around paper sizes to keep printing costs under control. 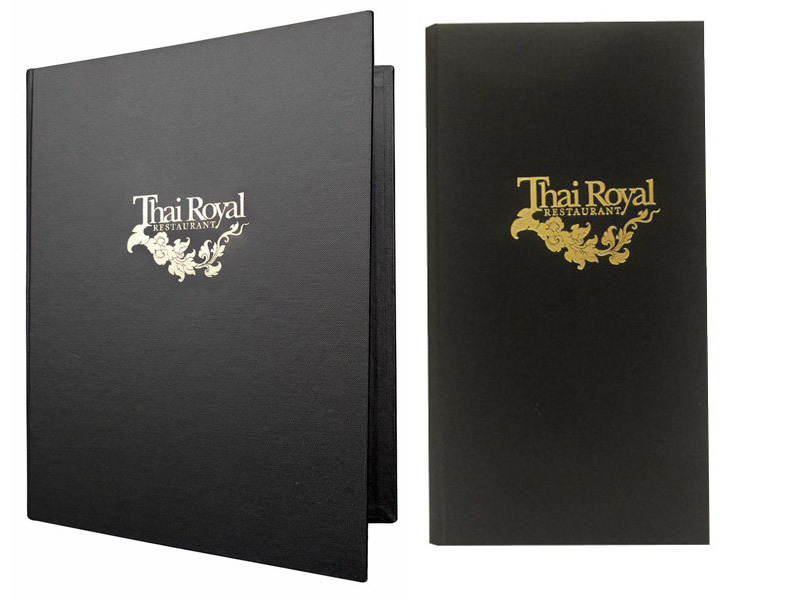 We can make the menu cover buckram Internal screw style in any of our durable proven fabrics and this menu cover can be personalized with foil blocking or screen printing so you can have your logo on your new custom restaurant menu covers. The benefit of having the internal mechanism is you have a clean front and back cover, giving the cover clean lines. It also means the screws are hidden inside the cover. 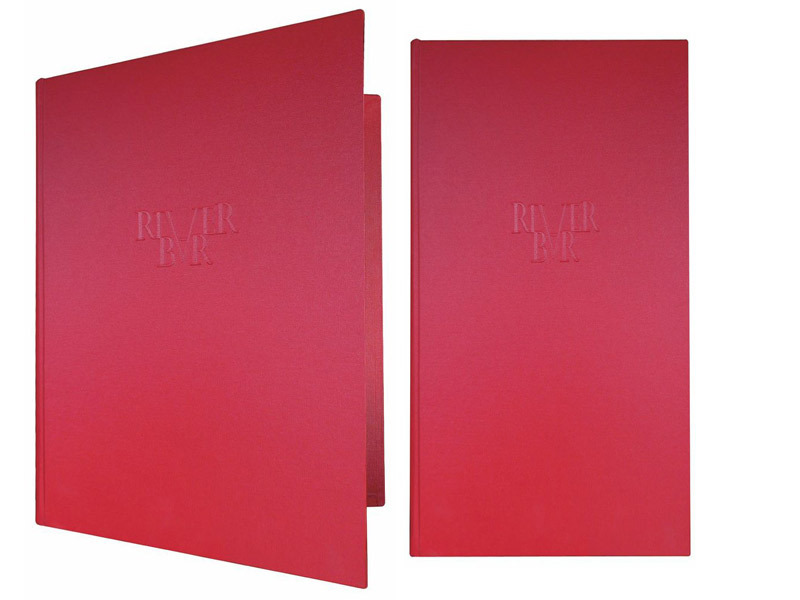 The internal interscrew menu cover will take form 1-20 pages easily and is available in a large range of colours meaning you can personalize to get it exactly as you want it to tie in with your overall theme. Place your order below or Select options What is a sample? A maximum of 1 sample can be ordered per product. A maximum of 2 product samples can be placed per order. All orders are manually checked. Add a nicer finish with our metal corners, we only use the most durable material so they are not needed for durability but they are guaranteed to look great - All for just $1.99! 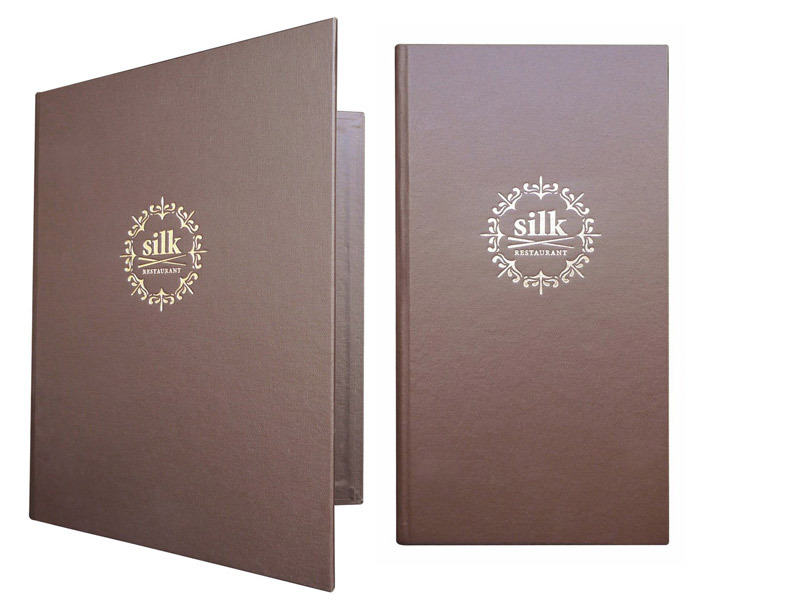 Select menu cover pocket (sleeve) options; Standard weight PVC pockets or upgrade to Heavy weight heat-welded PVC pockets for more durability. Text on heavy and lightweight. Please input here how many pockets you want per 1 SINGLE cover. (Our system will calculate for total number of covers you order). There is a one off fee of $99 to upload a logo. This is added to your cart before the checkout. SKU: PBINT. 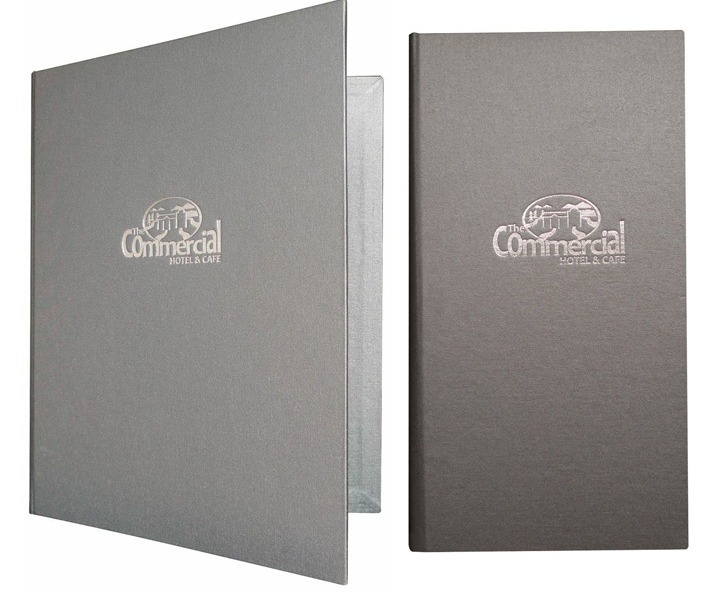 Categories: Menu Covers, Menu covers and Compendiums. Tag: homepage.